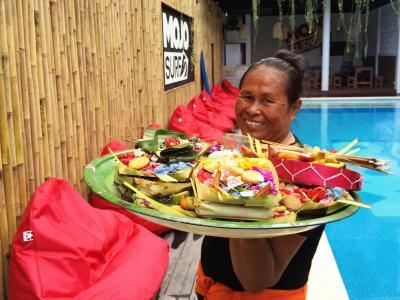 Lock in a great price for Mojosurf Camp Canggu – rated 8.4 by recent guests! 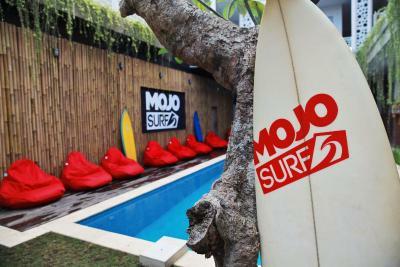 I liked Mojosurf Camp! The staff is very friendly. The pool is very nice to chill. 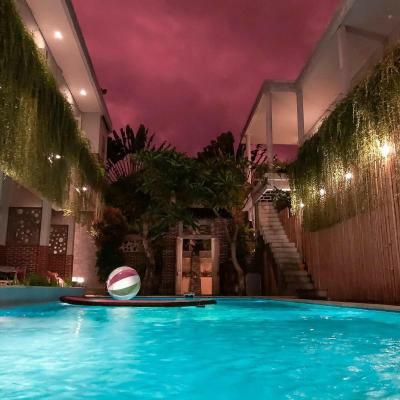 Location is amazing, it is on the main road of Canggu, 7 minutes walking distance to the beach (Batu Bolong) and popular bars like Old Man's Bar and Sandbar. The breakfast is filling and value for money is good! The staff is very helpful and friendly! 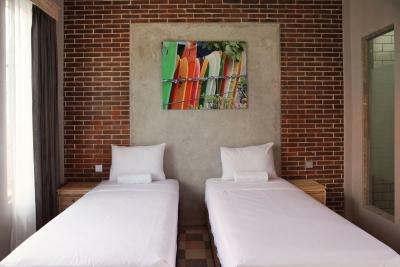 Great location in central Canggu, right by the beach and close to good restaurants and cafes (I recommend Betelnut cafe!). The rooms were basic - avoid the upper bunk if you can, as it is difficult to climb up and since the beds are not pushed to the walls, my phone ended up falling all the way to the ground at night and I had to crawl under the lower bed to get it... The rooms are clean and the bathrooms in the rooms are nice and the breakfast was great. 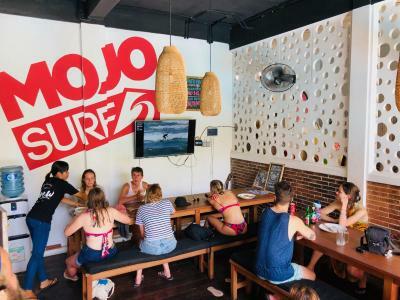 If you are planning on picking up surfing while in Canggu, know that Mojo's prices are very high and you can find much cheaper lessons in the area! What a great place to stay rather you are alone, with your family, with your partner whatever it may be. The staff are wonderful and the place is very clean. I’ve never had such a good experience at a hostel I highly recommend. 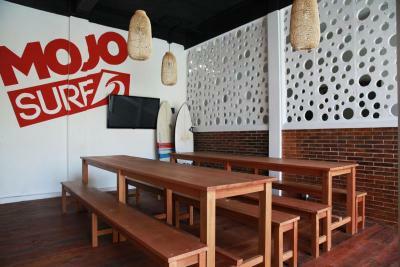 Awesome place to meet other surfers, great friendly staff, and well laid out facilities. Unlike other places the social interaction is great meeting new people at breakfast, by the pool, evening events. Awesome staff. Surf academy exactly as advertised. 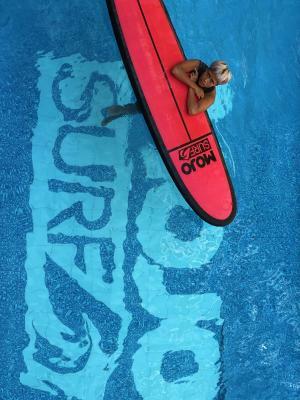 Surf instructors really made it easy to get up on the board for someone who has never surfed. Everything was lovely, the people, the location, the pool, the main area... great money value! The owners and the staff. Super friendly. They make sure the guests are comfortable and always ready to answer questions and provide help when needed. The location. 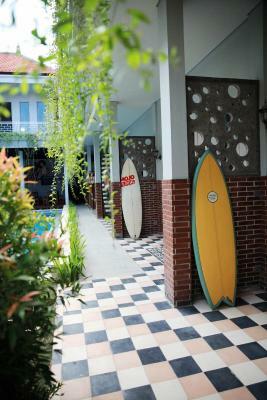 Very close to the Old Man's and other bars, walking distance to Batu Bolong and Echo Beach. We never run out of restaurants and shops too. There's a lot surrounding the area. 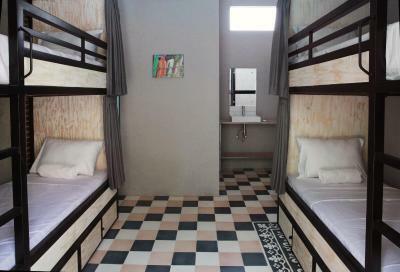 Cheap hostel rates. Very affordable and great value for the money. Free and fast WIFI. The food. They make really good Nasi Goreng and Chicken satay for a very cheap, friendly price. A must try! The comfy bunkbed with curtains. The only part in the room I like as it provided me the privacy I need as its a shared room. Lani. The super cute pup they have in the lobby. Miss her! That's a bonus :) The security guard at night. They have one! Loved the staff and vibe. Activities were great, surfing awesome! 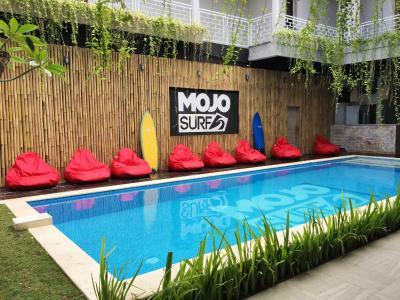 Mojosurf Camp Canggu This rating is a reflection of how the property compares to the industry standard when it comes to price, facilities and services available. It's based on a self-evaluation by the property. Use this rating to help choose your stay! 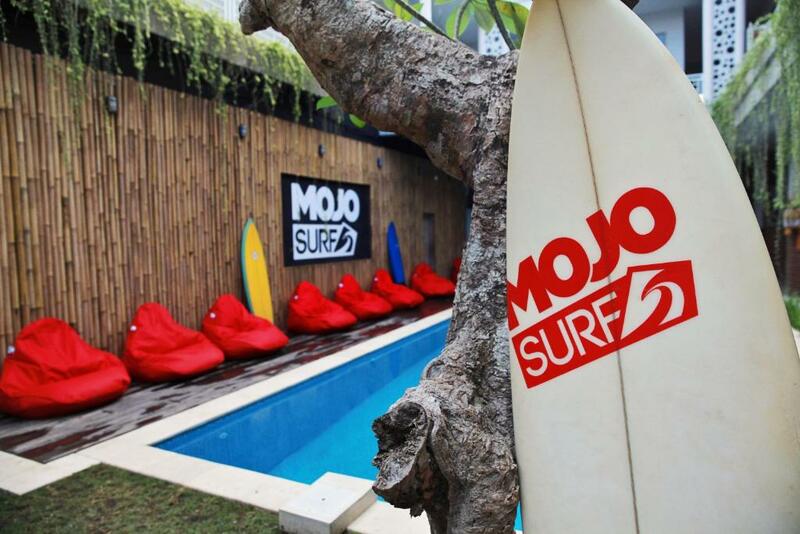 Featuring free WiFi, Mojosurf Camp Canggu offers accommodations in Canggu. The hostel has an outdoor pool and a terrace. Guests can enjoy a meal at the restaurant or a drink at the bar. Certain units include a balcony with views of the pool or garden. 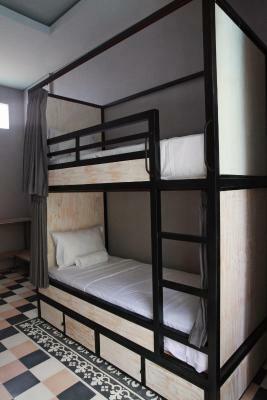 The rooms come with a private bathroom or a shared bathroom equipped with a shower. There is a shared lounge at the property. Ticket service, tour desk and currency exchange are also available. The area is popular for water sport activities, but guests can also go hiking, cycling and horse riding. 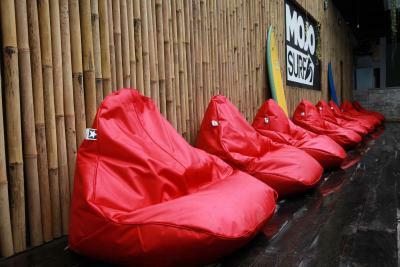 Echo Beach is 2,650 feet from Mojosurf Camp Canggu, while Batu Bolong Beach is 1,950 feet away. 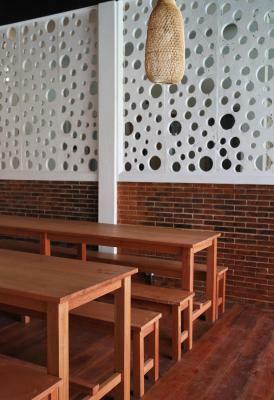 The nearest airport is Ngurah Rai International Airport, 6.8 mi from the property. 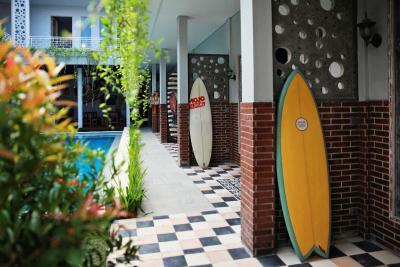 뀐 Located in the top-rated area in Canggu, this property has an excellent location score of 9.4! 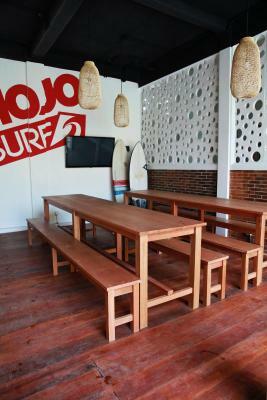 When would you like to stay at Mojosurf Camp Canggu? This twin room features a balcony, air conditioning and pool view. 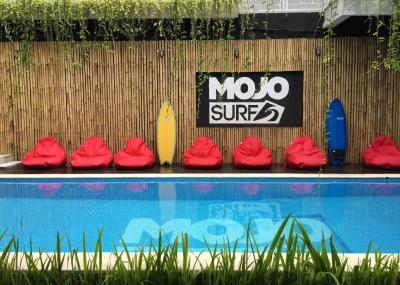 House Rules Mojosurf Camp Canggu takes special requests – add in the next step! Thank you Mojo for a great time! Loved the vibe, the fresh rooms & toilets, the pool - everything really. 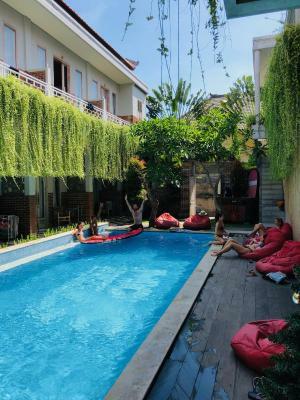 Awesome place to stay in the heart of Canggu if you want to meet people easily and be close to everything. Probably why I came back three times.. And will definitely come back again soon! I was forced to pay cash because the credit card machine was not working. This inconvenienced me! 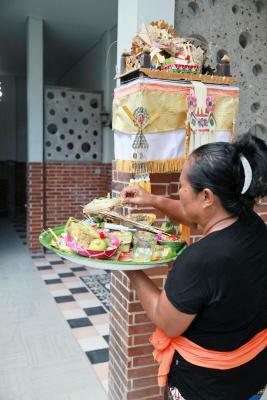 Superb location, right on the Main Street next to the best bars, cafes and shops in Canggu. Loved the pool and the design of the place makes it easy to meet people. Rooms were good, large washroom and sink area to share. Free breakfast and coffee was a nice add on. The aircon was terrible and I could't sleep well as it was super hot inside the room. I told them a few times but I had to move out for another place as it wasn't fixed. The room is a bit worn out, may at times look dirty. 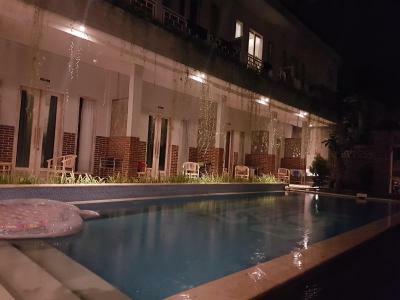 The pool area is really nice and the staff is very friendly. The bathroom was very dirty, they never cleaned it properly. The AC never works!! I complain a lot of times but they nothing happened. 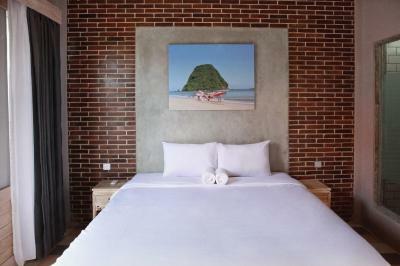 The beds are ok and the location is very good, near to the beach. The room was dark, and not very comfortable. The design and layout did not make sense. It wasn't particularly clean or comfortable. The party atmosphere! The hotel’s busy and fun at any time of the day. The bathroom in Dreamland room (female room for 8) was not the best. It was almost always dirty, and apparently, it has an old structure. It needs to be redesigned in a modern way. This hostel is fantastic! The staff make you feel very welcome and the whole vibe of the place is fantastic. 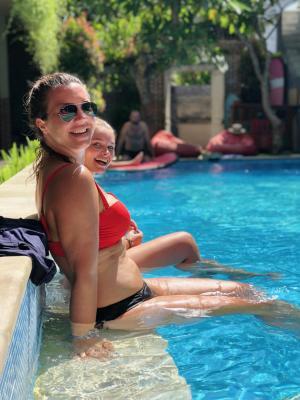 I spent Christmas here after leaving the Ubud area early. I arrived on Christmas Eve and was instantly made to feel at home. The hostel organise a Christmas meal at a local restaurant which was lovely. They also made a real effort throughout the day. That much I extended my time here for 4 nights to 9 (which included booking a new flight home). Would highly recommend staying here for couples or solo travellers of any age. This place is awesome! It has the best staff, rooms are beautiful & clean ( you get cleaning service everyday) and breakfast is unbeliveable!